Government should use the ordinance route, not to push the 2014 disabilities bill, but to make the 1995 act more inclusive. In the realm of disability rights, the events of the last month have been controversial. The government obtained cabinet approval for the Rights of Persons with Disabilities Bill, 2014, which does not meet the standards prescribed under the UN Convention on the Rights of Persons with Disabilities (CRPD), as it reinforces popular stereotypes instead of challenging them, and permits discrimination rather than prohibiting it. It also moves backwards on questions of autonomy, choice and liberty. Due to these regressive features, segments of the disability sector have criticised the bill. The bill’s supporters pointed to its inclusion of 13 new impairments and the enhanced percentage of job reservation. 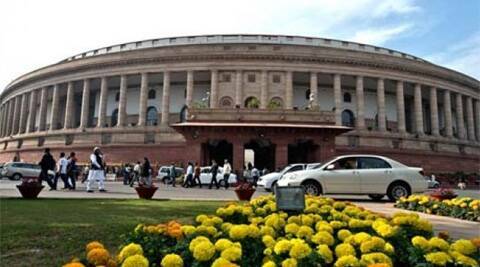 Since the losses were outweighing the gains and many provisions required fixing, the chairperson of the Rajya Sabha referred the bill for consideration by a House committee — the most appropriate solution. The dust had barely settled on this decision before another controversy engulfed the disability rights legislation. There are rumours that the government is planning to enact the bill as an ordinance. Two questions are being raised: one, can the government enact the bill through an ordinance after referring it to a House committee? And two, should the government take this route? Under Article 123 of the Constitution, the president has the power to make law through ordinances, provided that first, both Houses are not in session and second, the president is satisfied that circumstances exist which render it necessary that immediate action should be taken. Insofar as the two Houses are not in session, the first condition is satisfied. However, the second condition is not met. The bill was sent to a House committee because it needed more work. It was only introduced in the House and sent to the committee, and no urgency to enact the bill was expressed or shown. Any effort now to enact the bill as an ordinance, after it has been referred to the House committee, would, in light of the Supreme Court’s ruling in D.C. Wadhwa vs State of Bihar, be seen as a colourable exercise of power and a fraud on the Constitution. On a plain reading of the Constitution and by relying on judicial decisions, it can be stated that the president cannot enact the bill by promulgating an ordinance. It is also important to ask whether the government should enact the bill by using an ordinance. While considering this question, we should appreciate that disability rights is not an unoccupied field. The Persons with Disabilities (Equal Opportunities, Protection of Rights and Full Participation) Act, 1995 already controls the area. If the new bill is promulgated as an ordinance, it cannot become operable unless the act of 1995 is repealed. The act of 1995 has empowered a series of individual bodies and authorities to implement the statute. All these entities would become dysfunctional if it is repealed. But there would be no time to establish and render functional new authorities, because an ordinance can be operable for a maximum of seven and a half months without obtaining parliamentary approval. Going the ordinance route would not benefit the freshly included impairments, but would create an enforcement vacuum even for the disabilities already included in the 1995 act. Enacting the disabilities bill through the ordinance route would usher confusion and chaos, and could cause all disabilities to lose legislative protection. With the bill referred to the House committee, the newly included disabilities are at a special disadvantage. Since 1999, when a committee set up to suggest amendments to the 1995 act highlighted the need for inclusion, the battle has been on to recognise excluded impairments. The disabilities included in the 1995 act await the passage of the new law while continuing to obtain the benefits and entitlements provided earlier. But the disabilities not so included get nothing. It is important that all disabilities are similarly positioned so that they can work on the passage of a robust CRPD-consonant legislation. This is a situation of inequity which needs to be remedied. Since the two Houses are not in session and the enactment of the new law will necessarily take some time, the government should use its power under Article 123 to amend the 1995 act to include the new impairments that would have obtained inclusion if the new bill were passed. At the same time, the inadequacies of the new bill should be rectified by the House committee. By adopting this policy of activism and restraint, the government could do right by all sections of the disability community. The writer is professor and head, Centre for Disability Studies, NALSAR, Hyderabad.